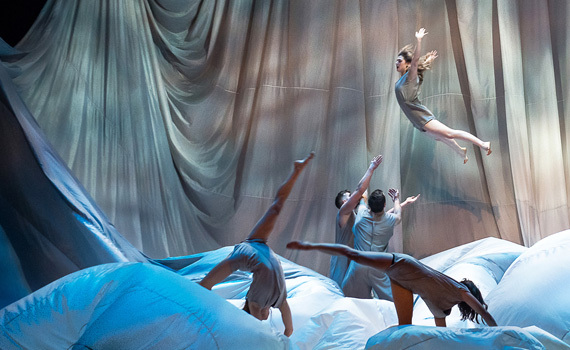 Through a riveting mix of theater, circus, dance, music and acrobatics, Reversible is dedicated to a generation who forged the world that we live in today and whose stories might hold the key to a better tomorrow. With the 7 Fingers’ Reversible, be prepared for the best in contemporary circus: moments of pure grace yielding to rushes of adrenaline, as a cast of multitalented performers travel through time and space. Be part of a vibrant journey that will give you goosebumps: Peek through the key hole at a reversible world, where everyday life is turned upside down into something spectacular—and universes are filled with beauty, emotion and yes, hope.